Sunrise edition. 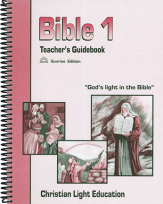 The teacher's guide has a more detailed version of the story for the teacher to tell or read. 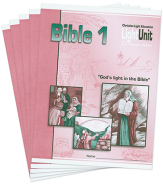 Without quizzes or tests, this course allows the child to enjoy the Bible and learn truths from it, without a heavy workload.